Recycling is a great way to reduce the amount of garbage you throw away, but upcycling is even better! 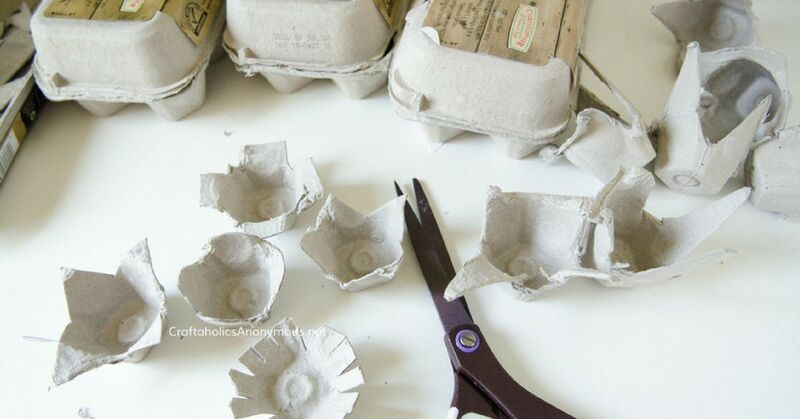 If you're like most people, you've probably been overlooking the DIY potential in everyday items like egg cartons, milk jugs, and soda cans. However, with a little bit of creativity, you can turn your trash into awesome treasures. 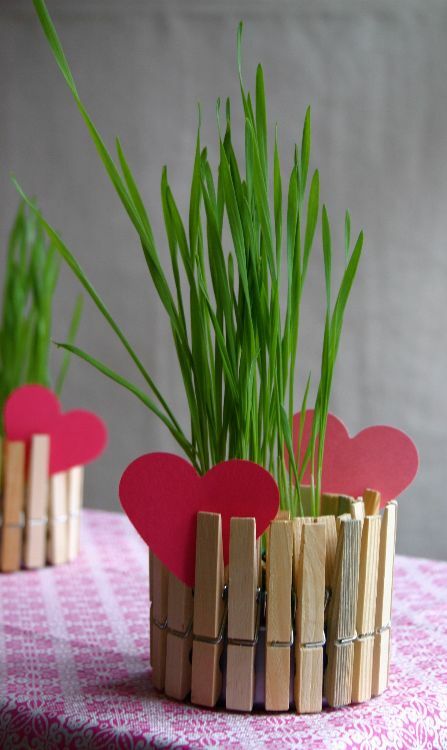 Don't just save these ideas for Earth Day... they're perfect for making any day of the year! 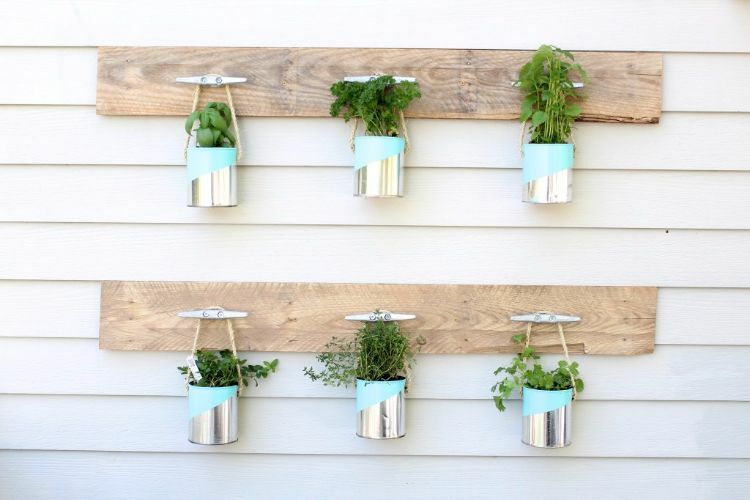 Windowsill herb gardens are lovely, but why not kick things up a notch and build a bigger herb garden outside? Old paint cans make perfect planters — in fact, this would be an awesome setup for a little flower garden as well. Bottle caps are tiny, but they have some big potential! 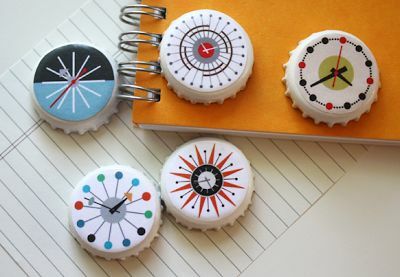 These mid-century clock designs are definitely cute, but you should feel free to get creative and make your own designs as well. 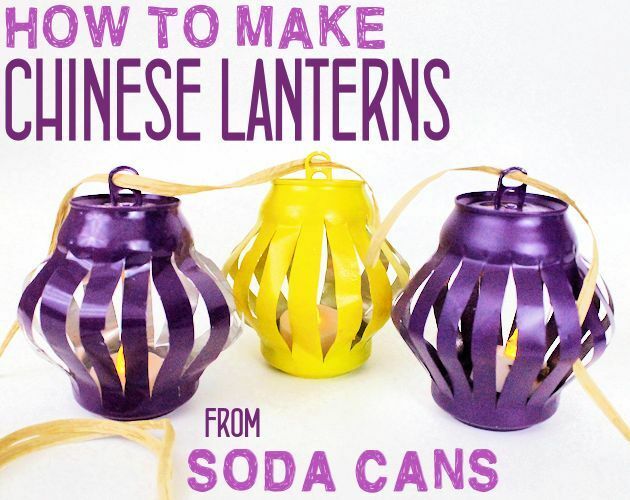 It seems like old soda cans were practically designed to be made into DIY Chinese lanterns — the little tabs make it so easy to hang them up. These would make perfect lights for your patio! 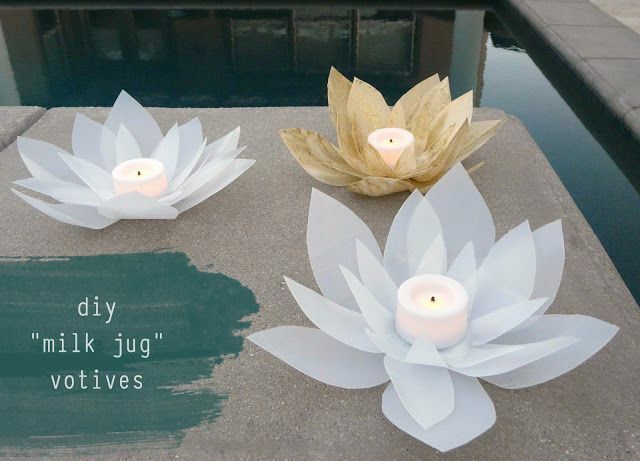 I would have never guessed that these pretty votive holders were made out of old milk jugs! The gold paint is an especially nice touch — what color would you want to paint yours? 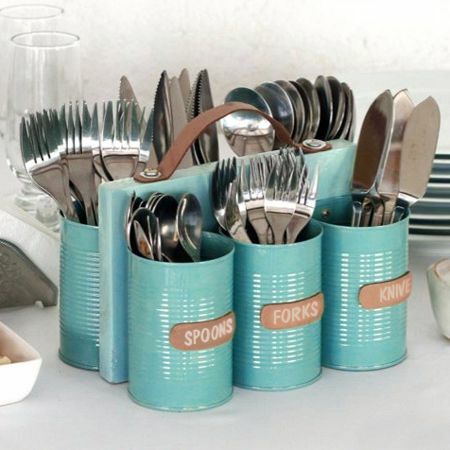 Forget about buying an expensive cutlery holder at the store! 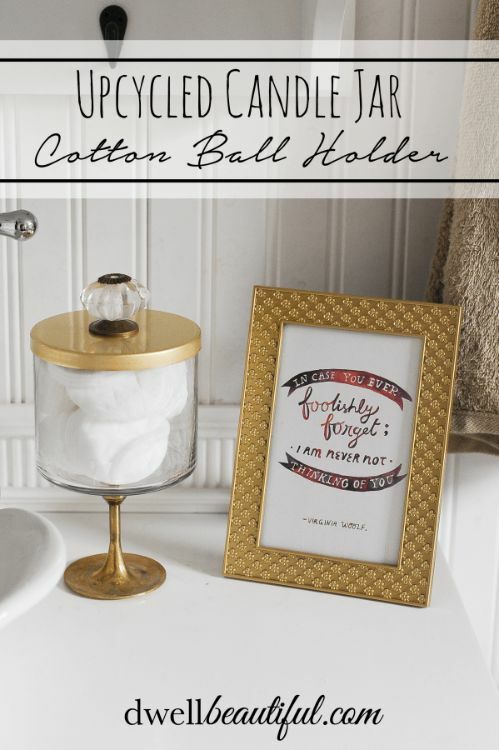 This DIY version is simply perfect, and it would be great for holding napkins or fresh flowers as well. Would you have ever thought that tuna cans and clothespins could be combined to create something so cute? These tiny little planters would be great for everything from flowers to herbs! I never know what to do with old candle jars, but this is such a clever idea. It would look great even without the stand, and you could make a few in different sizes for a nice display! Toilet paper rolls are one of the best crafting supplies out there — they're a dime a dozen, and they can be transformed into so many amazing things. 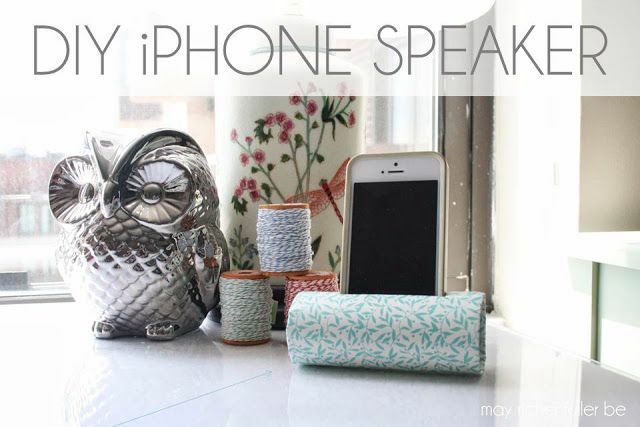 This DIY speaker is a perfect example! It looks like something from the store. This boho wall hanging is so pretty and feminine — it would make a great DIY headboard. 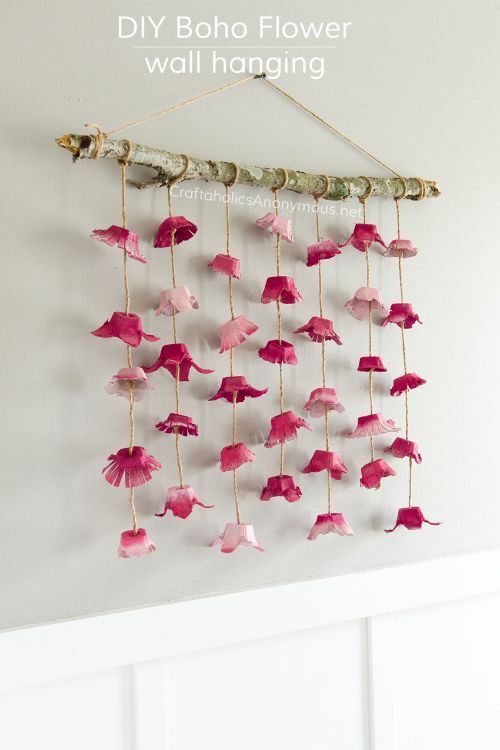 If you don't have enough wall space for such a big piece, you could also just make the egg carton flowers and use them to brighten up a strand of twinkle lights!